Kansenen Garden (甘泉園) is a Japanese style Garden located in Waseda, Tokyo. It was used to be a garden of Daimyo Shimizu. 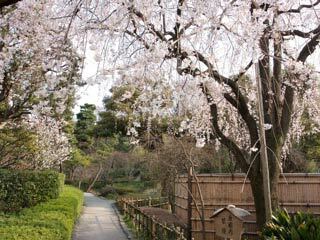 Because the spring of this garden still existed in Edo period, It was called Kansenen. "Kansenen" literary means "Sweet Spring Garden." Today, the spring disappeared, but the garden is opened for public. There is also play ground for kids and tennis courts. In winter, you can see Yukizuri.